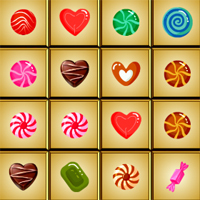 Simplified classic Mahjong game with Candy theme. You can eliminate pair of similar items. You can select only those pairs which have at least 2 adjacent sides open.This is an Ad Free Game.